Mahindra has announced officially that the XUV 300 will be launched on 14th February. It will be the brand’s fourth product in the sub-4m-compact SUV after the TUV 300, NuvoSport and the Quanto. The XUV 300 is an all-new product based on the SsangYong Tivoli platform. Mahindra has started taking the bookings of the XUV 300. Before Mahindra XUV 300 launch, dealerships are taking Rs. 20,000 as the booking amount. 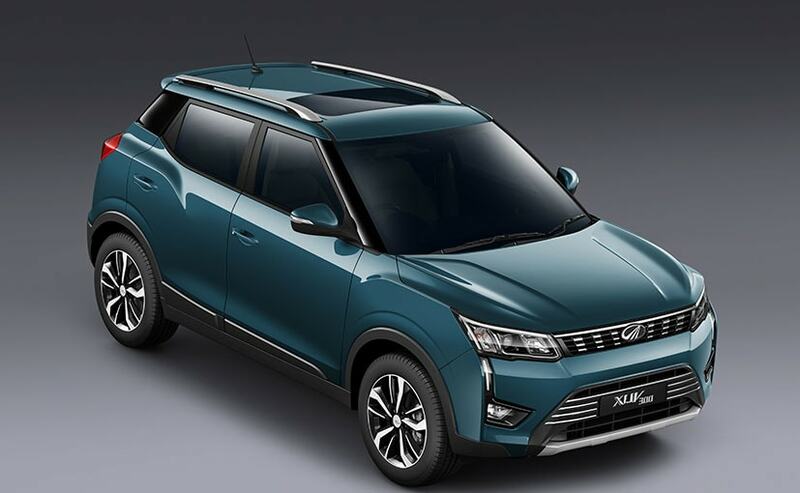 Even though the all-new XUV is based on the Tivoli, Mahindra has done enough visual changes to give it a different look. The vehicle gets a big chrome-dipped grille at the front and big headlamps on either side. The compact SUV will take on the likes of Ford EcoSport, Tata Nexon and the best-selling UV in India – the Maruti Suzuki Vitara Brezza. Just like many other Mahindra vehicles in the Indian market, the XUV 300 will come with a feature-rich brochure. Mahindra partially revealed the segment-first when the name of the SUV was officially revealed. The all-new XUV 300 will get dual-zone climate control system, disc brakes on all four wheels, 7-airbags, widest body in the segment and longest wheelbase in the segment. It also gets the highest torque-producing engine in the segment. Other features include a sunroof, leather seats, touchscreen infotainment system with Android Auto and Apple CarPlay, ABS+EBD, TCS, seatbelt reminder, 17-inch dual-tone machined alloy wheels and more. Mahindra has not revealed the engine details of the upcoming XUV 300 but it is most likely to be powered by both petrol and diesel engine options. The petrol variants are expected to be powered by a 1.2-litre turbocharged engine that generates around 200 Nm of torque. The diesel variants of the XUV 300 are expected to get powered by the 1.5-litre diesel engine that debuted with the Mahindra Marazzo. The Mahindra XUV 300 will get premium positioning in the Indian market. The price is expected to start from Rs. 8 lakhs while the top-end variants are expected to get a price tag of around Rs. 12 lakhs. Apart from the direct rivals, XUV 300 will also challenge the Hyundai Creta and upcoming Tata Harrier.